The Huawei Mate 20 Pro has just been officially teased as the phone that will outdo all others when it comes to the most giant battery onboard. Yup, even bigger than the Huawei P20 Pro. And there's an exciting reason why. The new Huawei Mate 20 Pro is expected to get an official reveal alongside the new Kirin 980 CPU at IFA 2018 soon. In the lead-up to that, Huawei has been sending out teasers to journalists. This involves a hand delivered package, kept in a safe which is unlocked using emoji. No, really. This package features an image with older Huawei phones and in the space where the new one could sit is a battery pack, a big one. This is clearly a tease about the Huawei Mate 20 Pro coming with an even bigger battery than the Huawei P20 Pro or the Mate 10 Pro, which both had 4,000mAh units. That said, the battery pack in the tease was 4,000 mAh, but this is likely a mistake as the literal battery pack size was probably the main concern for the marketing department here. There's another reason for that. 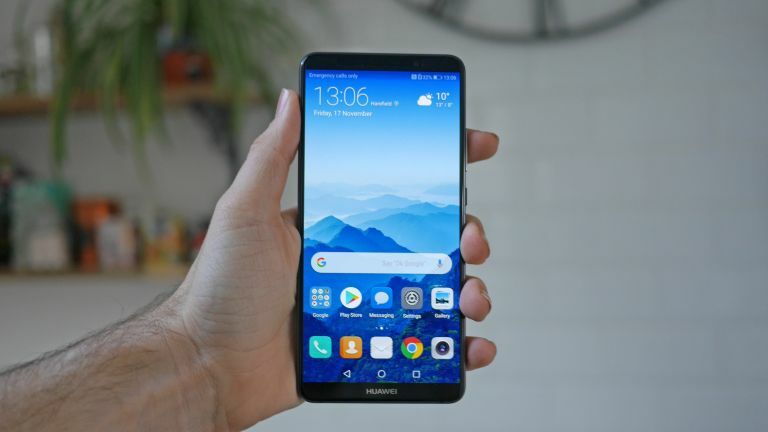 Previous leaks have suggested Huawei's Mate 20 Pro could also feature the largest modern smartphone screen yet, at a whopping 6.9-inches. This unit, made by Samsung, is expected to be a Super AMOLED screen. Sure, OLED is battery efficient, but anything that big will need a huge battery to keep running all day. We may not have to wait long to find out as IFA 2018 starts on 31 August.